The Regional Ebook and Audiobook Download System offers thousands of digital ebooks and audiobooks to patrons of public libraries that belong to the Tennessee Regional Library System. 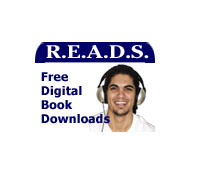 These digital titles can be downloaded to your personal computer and then transferred to various portable devices such as MP3 players and ebook readers. Stop by the Library to learn how to access this website.